Why ‘White Oak’ Aikido Reading? It was in November 1991 that White Oak Aikido Reading was established at the YMCA, as a club where anyone over 18 in Reading who was interested in training in the martial art of Aikido could come and train. Our group started training at Reading University in 1969, but that was aimed solely at Reading University students and members of staff. We expanded by opening our Caversham Aikido dojo in 2016. So why the name White Oak Aikido? To understand the origins of the White Oak name, it’s also necessary to know something about the availability and quality of the martial arts equipment that had been available in the 1970s, 80s and early 90s. In Aikido, we train with both the Jo (straight staff) and the Bokken (the wooden sword). At that time, it was very difficult to source a Jo or Bokken of good quality, as most were not produced in Japan and they were made of a cheap red oak that was often of such poor quality that the importers would fill cracks in the wood, stain them and then varnish them over. It was a revelation, therefore, when Saito Sensei came to the UK in 1985 and brought with him Iwama Bokken and Iwama Jo. These were of exceptionally high quality, as well as being heavier and handling better, whilst the Iwama Bokken also had a better shape for training in the Aikiken work. These Aikido weapons were made in Japan from Japanese white oak (usually Quercus acutissima), Shirakashi in Japanese or sometimes Shirokashi, an evergreen oak and completely different from the American white oak (Quercus alba) or the Common or English oak (Quercus robur). In Japan, Shirakashi is known as being one of the best materials for making wooden martial arts weapons, because of its high quality, durability, excellent grain structure, resilience and strength. It is also often found growing on Japanese religious sites, due to its association with good fortune. With such an excellent reputation, it made sense to call the new Reading Aikido club, White Oak Aikido. It took a long time, 26 years in fact, but the White Oak Aikido Reading logo arrived in 2017. As you can see, the logo features a black tree with white roots within the basic shape of a Yin / Yang symbol. The white roots spread wide in the black Yin earth, forming a strong foundation that draws on the infinite energy of the earth, and the black branches reach up to draw in the powerful energy of the white Yang sky. Within our White Oak Aikido logo, therefore, the ‘White’ in ‘White Oak’, refers to the roots, the foundations and the basics of Aikido, as they are always our focus. 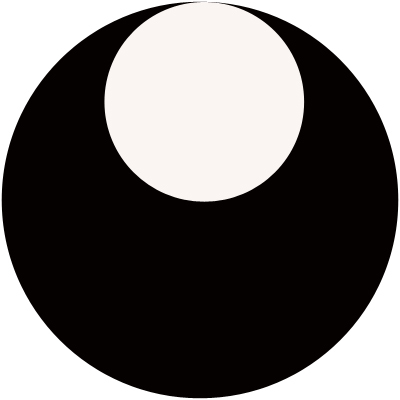 The Yin / Yang symbol being horizontal with the white Yang section at the top, suggests that the Yang energy is ascendant, but this is balanced by the substantial presence of the black Yin tree, bringing this energy from below. The tree has the traditional silhouette of an English oak tree as that is more familiar to people in the UK, the Shirakashi shape not being especially recognisable to anyone who hasn’t studied Japanese arboriculture. In addition, therefore, to respecting the Japanese culture in which Aikido was created, we also bring to our Aikido the viewpoints and perspective of our own culture. As you’ll have seen above, the qualities of white oak are important to us, but also important is the Riai system of blending the principles of different arts to create a whole that is Aikido: empty-handed techniques, Bokken and Jo. The Yin / Yang symbol is significant, as it recognises the degree to which the understanding of the human body, its alignments and its capacity to generate relaxed power, as taught at White Oak Aikido Reading, is also informed by an understanding of the Chinese internal arts. This element of the Chinese internal arts informing our understanding through its principles is a continuation of Riai, where the basic principles of different arts can be studied to assist understanding and performance in Aikido, as they are all similar (in western culture, we would just say we were cross training!). 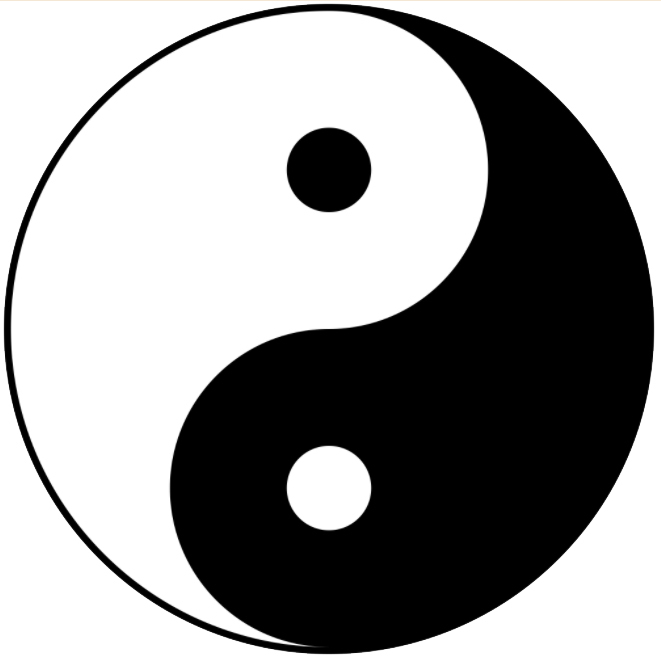 It is also the reason that we have used the Yin / Yang symbol, rather than the ‘Japanese version’, the In / Yo symbol. Overall, the White Oak Aikido logo also visually combines elements of stability and power, energy and flow, spirals and circularity. Thus, the logo represents many facets of the training, teaching and philosophy at White Oak Aikido Reading.